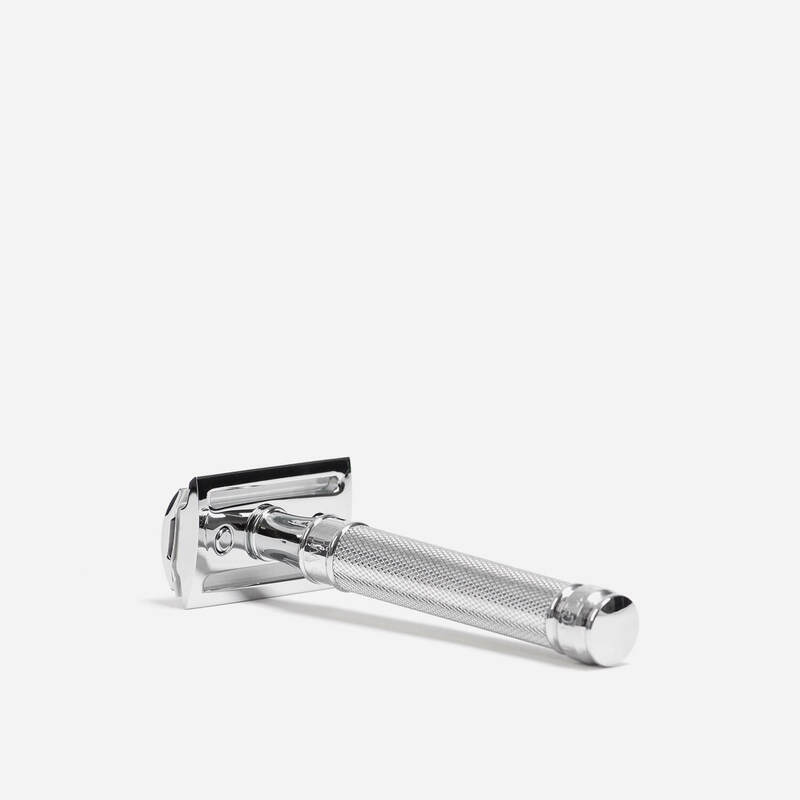 Chrome plated double edge safety razor with a closed comb head and knurled handle. Earn up to 26 Reward Points for this item. The Edwin Jagger DE89KN14 is a closed comb DE safety razor which offers a mild, but close shave. 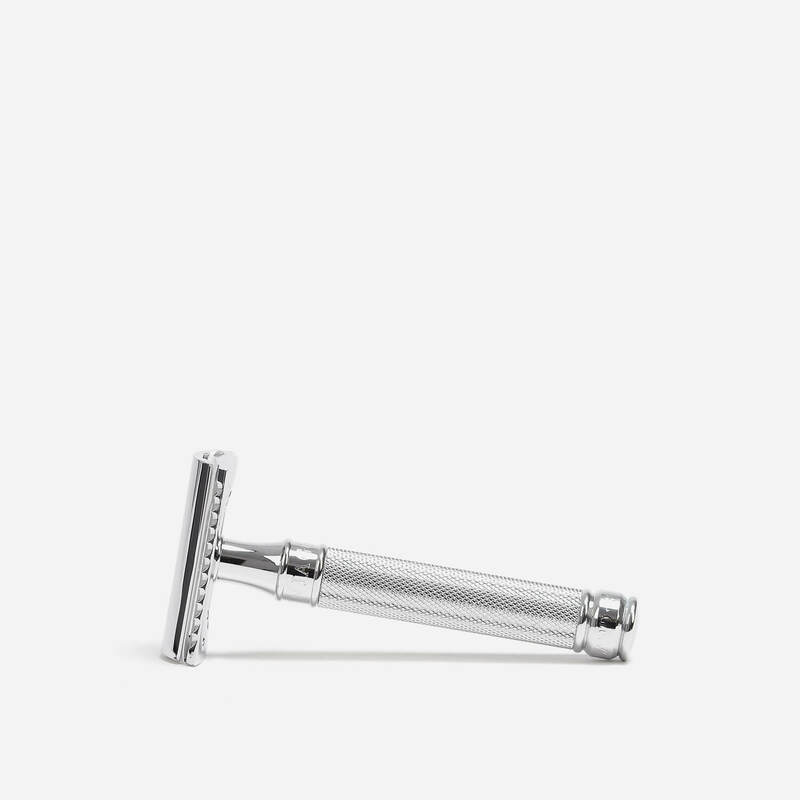 This makes it ideal for first-time DE safety razor users. The DE89KN14 features an 85mm knurled patterned handle making it both comfortable and easy to grip. The razor is finished with a high-quality chrome plating. Supplied with one Feather razor blade. Superb everyday razor. Good quality. Well made. Perfectly balanced. Shaves really well. Just bought this from shave lounge. Upgraded from my gillette 7 o’clock. It is a great upgrade a fantastic razor. Really enjoyed using it. Came 20 blades. A great service from shave lounge. Not a single cut. Amazing razor! Good razor. The best quality what I’ve ever seen. Fantastic razor, love the grip, shaves closer than my Merkur!! It’s great. No more paying a fortune for disposable shaving heads. Great shave and a pleasure to use. Plus made in Sheffield, I’m the proud owner of a luxury razor. I loved the 20 free blades in with the price. After a couple of goes I am sold, this is far better than disposables and just as smooth a finish as I could have wanted. The free blades bundle in are excellent and will save me money very quickly. Excellent razor, takes some getting used to from shaving with cartridge razors but provides very close and satisfying shave. Very happy, great purchase, great price. Even got more freebie razors than expected..!! Being new to wet shaving I thought I would give it a go. I’m never going back to cartridge razors ever again. Great product and good for a new guy like me. A good shaver, slightly lighter than I’d prefer.